I was introduced to "Summer Heights High" a few years ago. We were marooned by storms in an old farmhouse in Brittany. A friend had all the episodes on his laptop. I loved it. So much, in fact, that I've watched it at least half a dozen times since. Now it's on the BBC iPlayer, so I've been watching it again. It's the work of Chris Lilley, a sort of Australian Steve Coogan. At Summer Heights School he plays three characters: break-dancing bully Jonah Takalua, 16-year-old vamp Ja'mie King, who's arrived there on an exchange programme with a local private school, and Greg Gregson, the drama teacher who convinces himself the kids adore him and know him affectionately as Mr G.
"Summer Heights High" was first broadcast in 2007. Lilley's done variations on this format since but nothing is quite as perfect as the original. What I love about it, apart from the richness and cleverness of the characterisation, is that it depicts perfectly the way that a school becomes a substitute for a real world and also takes such pleasure in describing what monsters both children and teachers can be. Couldn't happen here, of course. 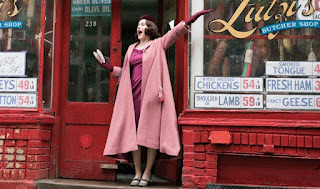 I like The Marvelous Mrs Maisel, the Amazon series which stars Rachel Brosnahan as the young wife and mother who scandalises her impeccably bourgeois Jewish family by making a name for herself as a comic in late 1950s Greenwich Village. A lot of its exuberance comes from its use of popular tunes from the era in which it's set. These might be Broadway musical hits like "I Enjoy Being A Girl" from "The Flower Drum Song" and Anthony Newley's "It Isn't Enough" from "The Roar Of The Greasepaint - The Smell Of The Crowd", curiosities like "Vyoch Tyoch Tyoch" from the Barry Sisters, who were a kind of yiddish Andrews Sisters, scene-setters like Charlie Parker's "Scrapple From The Apple" and pop hits Mrs Maisel can twist to apply to her personal circumstances, songs like Blossom Dearie's "The Gentleman Is A Dope" or Peggy Lee's "Pass Me By". All these contribute to its infectious sense of optimism. What makes it even more interesting is that at the end of most episodes the music breaks character, comes out of the fifties and universalises its point by using songs like Dave Edmunds' "Girls Talk", David Bowie's "Rebel Rebel" and, most effectively, "Dear Madam Barnum" by XTC. I loved it. But then, as my daughters frequently remind me, I am a bit of a girl. The last new novel I tried to read was Lincoln In The Bardo, the Booker Prize winner. They say it's a masterpiece. I couldn't tell you. I didn't get past page fifty. And I speak as someone who's interested in Lincoln and rarely gives up on books. God knows what everybody else made of it. Since then I've just been reading non-fiction. 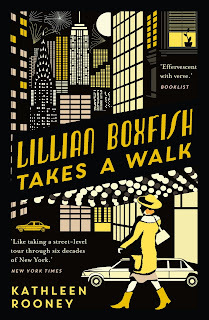 I picked up Lillian Boxfish Takes A Walk by Kathleen Rooney from the table near the door at Daunts in Marleybone High Street. It was the week before Christmas and I was looking for stocking-fillers for my wife. I read the blurb and thought it was worth a go. My wife loved it. I loved it too. 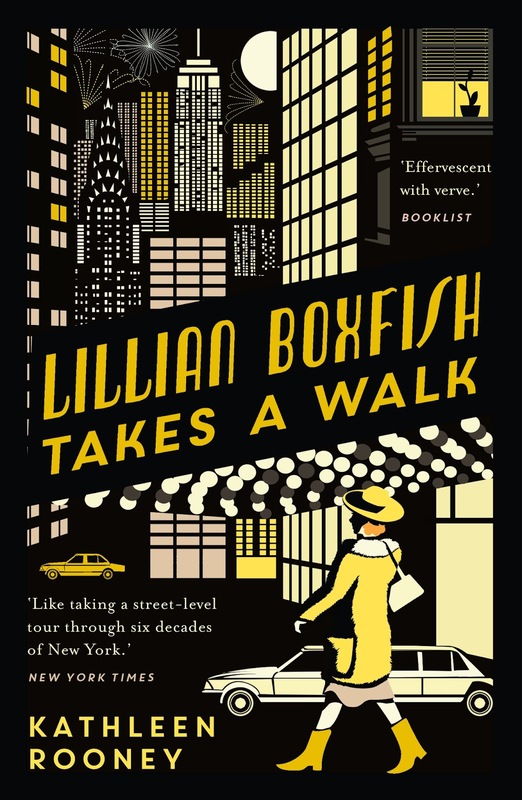 Lillian Boxfish is a woman in her eighties who refuses to leave New York. During the Jazz Age she became the highest-paid woman in advertising for composing the clever light verse on the newspaper and magazine advertisements for Macy's. Even in her eighties she believes in walking everywhere. Solvitur Ambulando is one of her mottoes. "It is solved by walking." Which explains why on New Year's Eve 1984 she walks all the way from her place in Murray Hill to Delmonico's down in the Financial District and then on to a young people's party in the yet to be gentrified Meat Packing District. 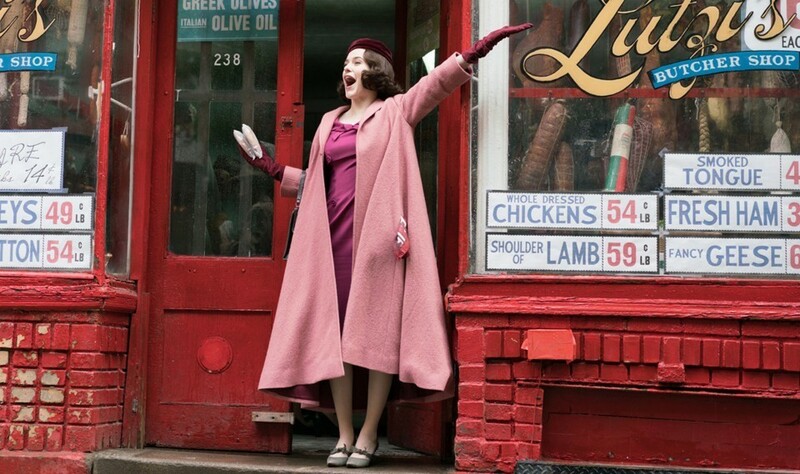 On the way she encounters New Yorkers who all enquire what an old lady is doing out on the streets alone at night. In her mind she recapitulates her life and career. And that really is the sum total of what the book's about. Lillian Boxfish believes it's her duty to be bright and entertaining without taking up too much of people's time. The book's the same. It doesn't play brain-scrambling games with the structure of The Novel so it's never going to win the Booker Prize. It is however readable. I got up early this morning to finish it. If being readable sounds like damning with faint praise I don't mean it to. I'm not in favour of the video assistant referee (VAR) system being tested in British football at the moment. What drives me crazy about the arguments about football and technology are the football pundits (who are all in favour because they like the idea of anything that turns it into more of a TV show and less of a sport) saying something along the lines "they've used it in rugby and it works fine". 3) the coaches are up in the stands, not bellowing in the ear of the touchline official. I can't believe those pundits who argue "if it can help us get a few more right decisions we should do it". This is a particularly daft argument for them to promote. If there's nothing to argue about there's even less reason for them to be handsomely rewarded for their services. And what has being "right" got to do with sport? There's only one thing you can ask of referees and that's that they be fair. The more that you open up the process of decision-making to discussion the more you hasten the day – and I am confident this day will arrive – that Jose Mourinho will have a QC on the Manchester United bench.